Pork Milanese is one of the simplest dishes to prepare in all of Italian cuisine, but it is truly magical. Veal Milanese is very traditional, but we love going the pork chop route. This dish originates in the Northern Lomardy Region of Italy in the magical and beautiful city of Milan. The chops are so very tender and incredibly flavorful. This dish is super delicious, super easy…and super gorgeous on the table!! 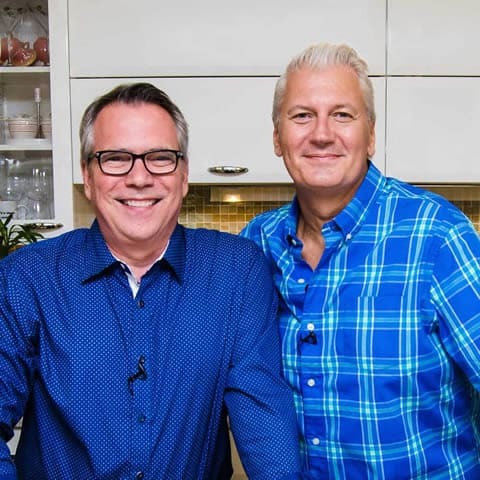 Watch us show you how easy it is to make Classic Pork Milanese! Start by asking your butcher for 1 to 1 1/2-inch bone-in center-cut pork chops. 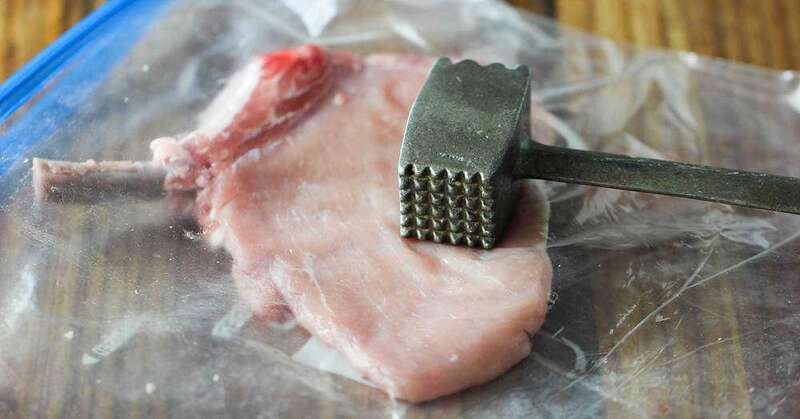 Then, one by one, place a chop in a large freezer baggie, and using the side of a meat mallet (or any blunt object), gently pound the meat to approximately 1/2-inch thickness. The key to Classic Pork Milanese is a thin chop! 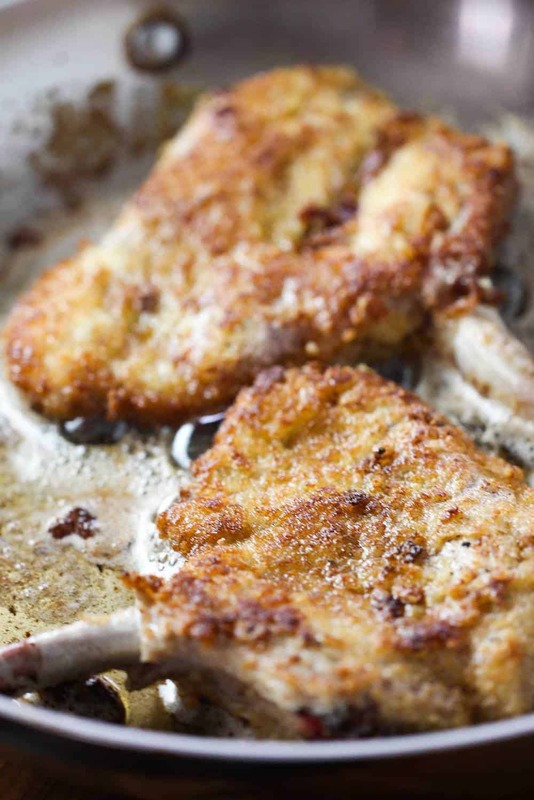 For the breading of the chops, you can certainly go with store-bought bread crumbs, no problem. 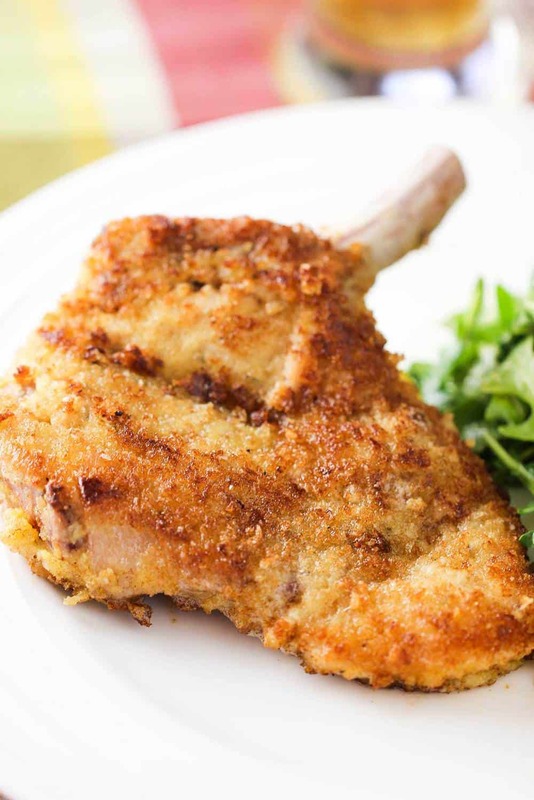 But we find bread crumbs that are made from slices of high-quality bread that we’ve let sit out for at least 24 hours provide the most delicious flavor and texture for a more flavorful Pork Milanese. 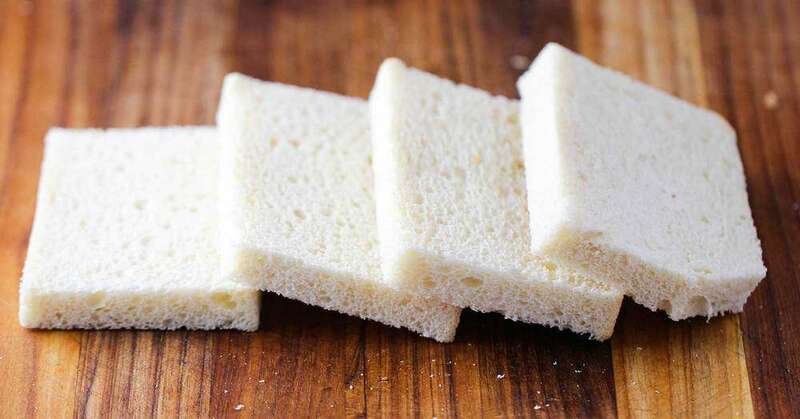 After the bread has dried out, simply remove the crusts. Then cut the bread into smaller pieces and place in your food processor. It may take up to 3 or 4 minutes of processing for the bread to become fully pulverized and fine. Stop and then continue processing and pulsing until you reach the desired texture. 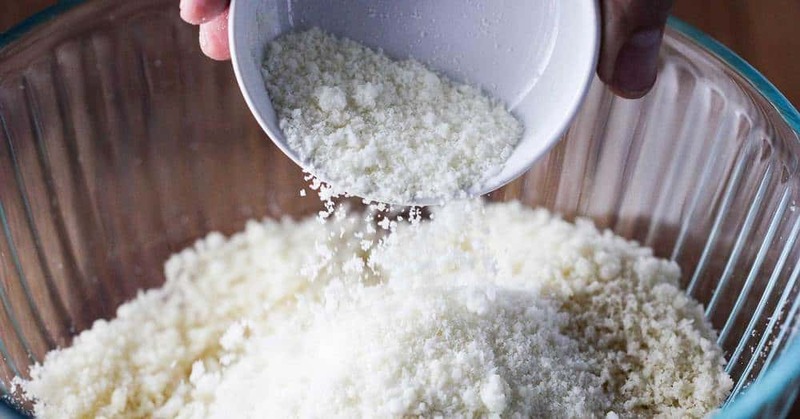 Now, in a medium-sized bowl, add the Parmesan cheese and a pinch of salt, and mix together. It’s time to dredge the chops! First, season the chops with salt and pepper on both sides. Next, set up a “dredge station” with 3 dishes in a row (we use square baking pans). Pan 1 is flour. Pan 2 has 3 eggs, blended. Pan 3 is the bread crumb and cheese mixture. Be sure to make sure each chop is fully submerged (and then gently shaken) after each stage in the dredge lineup. Since the chops are now nice and thin, they do not take long to cook in a hot skillet. We love using a combination of unsalted butter and olive oil for cooking the chops. Never over-crowd your pan with the chops, we typically cook the chops 2 at a time, with about 3 to 4 minutes per side over medium heat. As you cook the chops, you may notice a little blood seeping from the bone. This is normal and will disappear as the chops cook. You can also use a paper towel to wipe away any excess during the cooking process. As soon as you lower the chops into the hot skillet, move the chop a little from side to side. This helps to keep the breading to initially stick to the bottom of your skillet. Try to avoid flipping the chops multiple times. Keep an eye on them, however, as you don’t want the breading to become too dark. 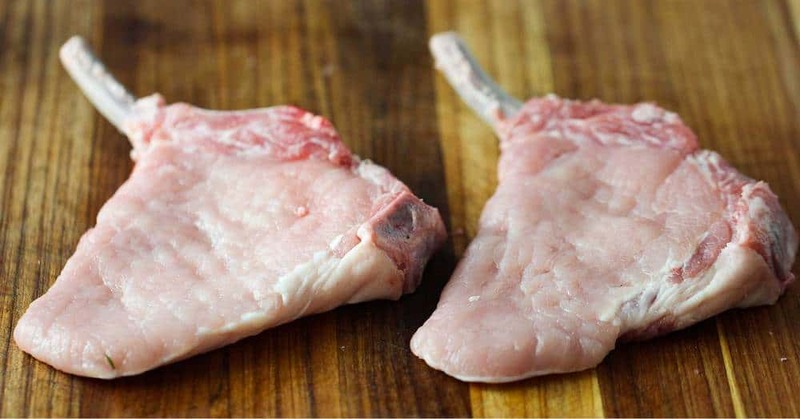 Cooking time varies, depending on how thick the chops are, however, a thin chop should only take about 3 to 4 minutes per side to get the breading nice and crisp and golden and the internal temperature of the meat to be approximately 145°F. Let the chops sit for about 5 minutes before serving. 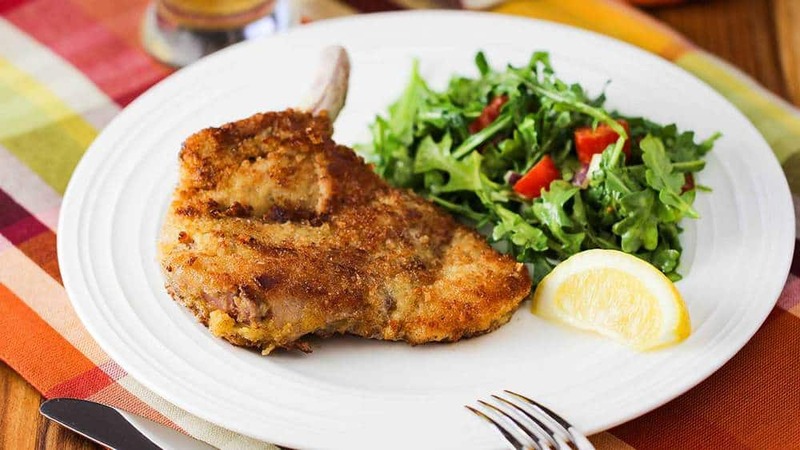 The traditional accompaniment to Pork Milanese is a fresh arugula salad with halved cherry tomatoes, a little chopped red onion, and a nice, fresh vinaigrette dressing. 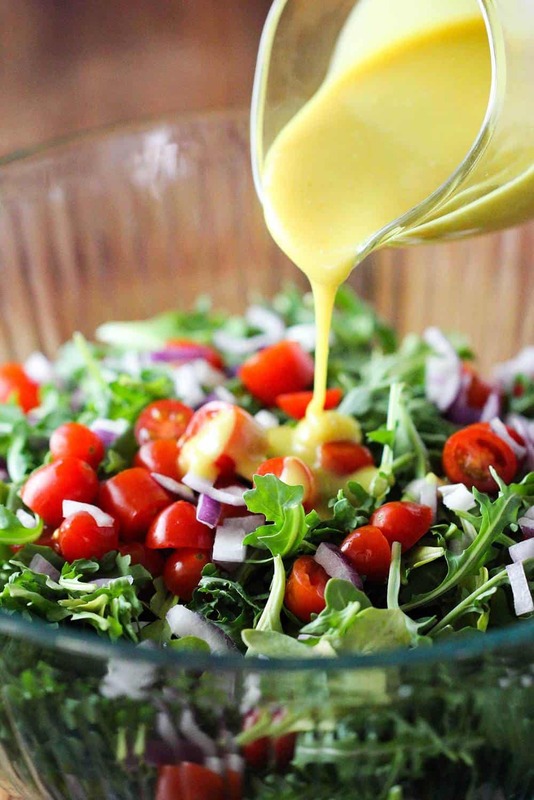 We love going with our Homemade Honey Mustard Vinaigrette! If serving this for lunch, we find that one chop is perfect, along with the salad and some warm bread. It’s perfectly acceptable to serve two chops per serving for dinner. Either way, the salad is a must and really does compliment the breaded chop perfectly. 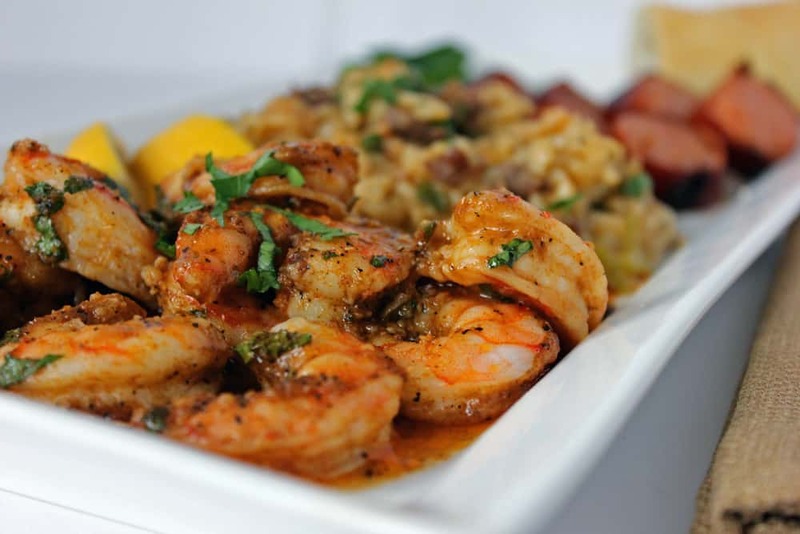 If this dish looks good to you, you would probably enjoy thisese dishes as well! 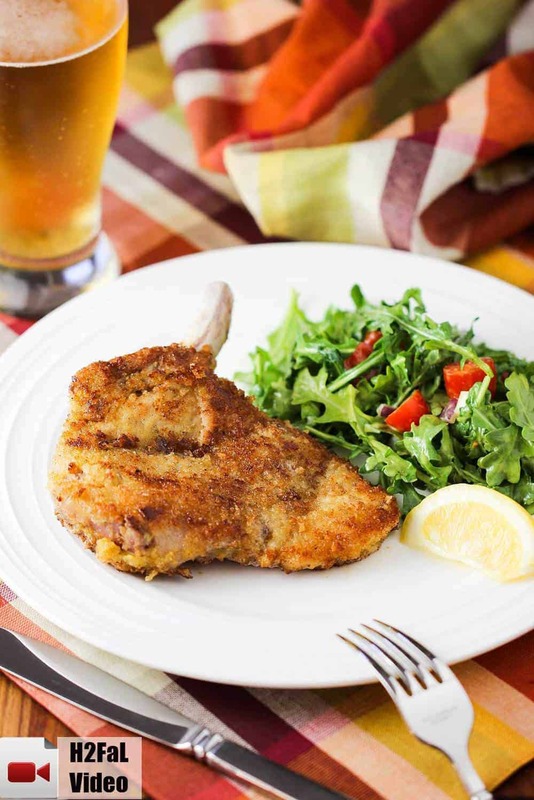 But in the meantime, we strongly suggest you run to your nearest meat department and pick up some nice bone-in pork chops and make this magnificent Pork Milanese. It is perfect for a week-night dinner, or a classy dinner party. WIN! This Classic Pork Milanese is really easy to make, but is also a very elegant and delicious meal. 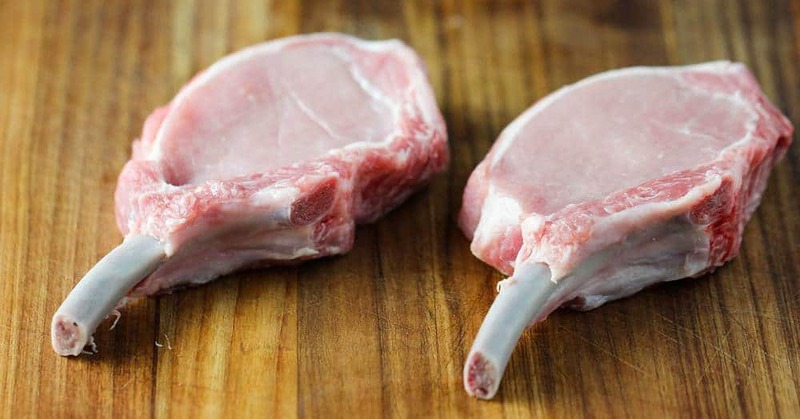 Ask your butcher to French the chops, so the bone is exposed, and then you can pound each cutlet nice and thin, to about 1/4-inch. Use day-old bread for the bread crumbs, along with a nice arugula salad and lemon. Wow, oh wow. Super delicious. One at a time, place the pork chops in a large freezer bag, or between 2 pieces of wax paper, and gently pound with a meat pounder, avoiding the bones, until about 1/4-inch thick. Season the chops on both sides with salt and pepper. Set aside. 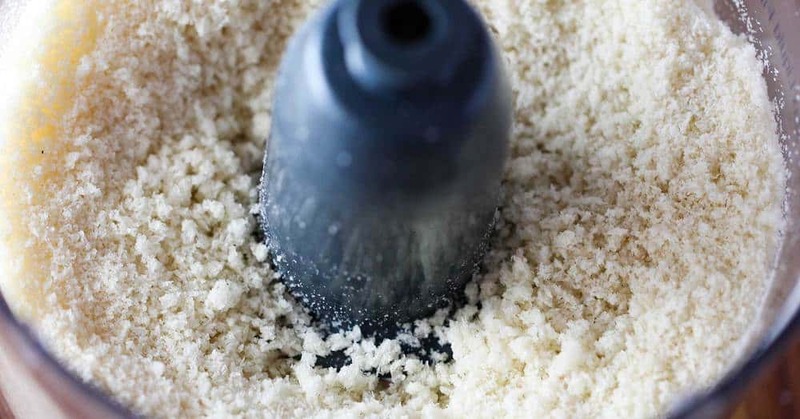 Use a food processor to pulse the bread into fine crumbs. Pour the crumbs onto a large plate, or bowl, and mix in the cheese. Place the flour on a large plate, or bowl. Season with a pinch of salt and pepper. In a shallow bowl, gently beat the eggs until blended. 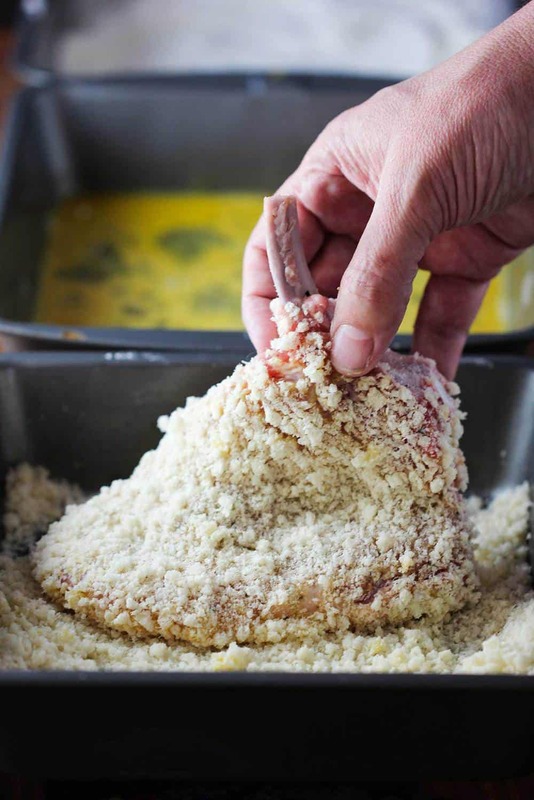 One at a time, dredge the chops through the flour, then dip into the egg, coating completely (except the bone), and then in the bread crumbs. With your fingertips, pat the crumbs into the chops to help them adhere. Place on a rack for 15 minutes. In a large skillet, or frying pan, over medium heat, melt the butter with the olive oil until hot. Add the chops, 2 at a time, and cook, turning once, until browned and crisp on the exterior, yet tender and moist on the inside, about 3 minutes per side. Meanwhile, prepare the Mustard Vinaigrette. Toss the arugula, tomatoes and onion with the prepared vinaigrette. 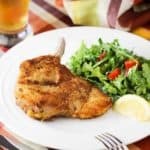 Transfer the chops to plates along with the dressed arugula salad. I can’t wait to make this. It looks and sounds incredible. One question – Can I buy the Mustard Vinaigrette at the grocery store?